Our strobe lights will brighten up your parties, dorm rooms, Halloween decorations or special effects productions, best of all, our strobe lights are always sold at discount prices! 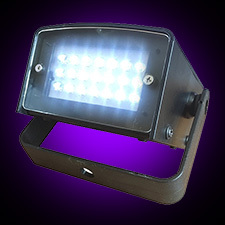 Welcome to your one stop online shop for all of your strobe lighting needs. Find a huge collection of strobe light accessories, lights, and ideas for professional quality club lighting. If you are looking for party lights to create the perfect haunted house special effects for Halloween, for mobile DJ lighting, for professional quality disco party lights, quality strobe lights, unique Halloween decorations and Halloween lights, we offer all of the strobe lights you need to create the perfect Halloween lighting. 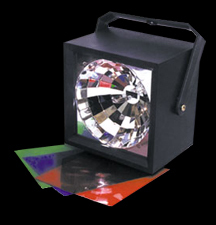 A strobe light or stroboscopic lamp, commonly called a strobe, is a device used to produce regular flashes of light. It is one of a number of devices that can be used as a stroboscope. A strobe light has many uses, including scientific and industrial applications, but are particularly popular in clubs where they are used to give an illusion of slow motion (cf. temporal aliasing). Other well-known applications are in alarm systems, theatrical lighting (most notably to simulate halloween lighting), and as high-visibility navigation lights, as well as still widely being used in law enforcement and other emergency vehicles, though they are slowly being replaced by LED technology in this application, as they themselves largely replaced halogen lighting in this application. Strobe club lighting has also been used to see the movements of the vocal cords in slow motion during speech, a procedure known as video-stroboscopy. Special calibrated strobe lights, capable of flashing up to hundreds of times per second, are used in industry to stop the motion of rotating and other repetitively-operating machinery and to measure the rotation speeds or cycle times. 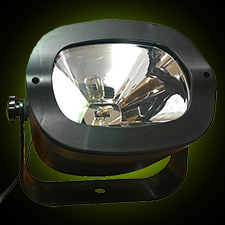 A typical commercial strobe light has a flash energy in the region of 10 to 150 joules, and discharge times as short as a few milliseconds, often resulting in a flash power of several kilowatts. Larger strobe lights can be used in “continuous” mode, producing extremely intense illumination. The light source is commonly a xenon flash lamp, which has a complex spectrum and a colour temperature of approximately 5,600 kelvins. In order to obtain coloured light, coloured gels must be used. For more fun check out www.CheapDJGear.us.